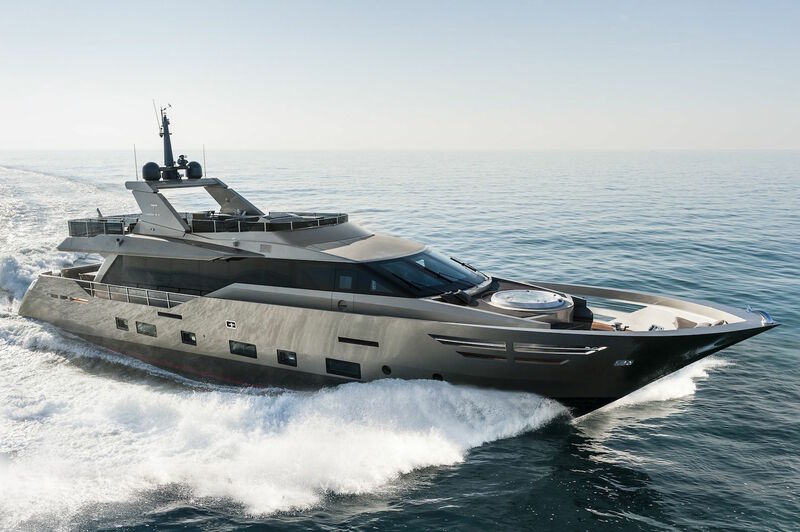 This 30 meter yacht embodies pure elegance, power and style. 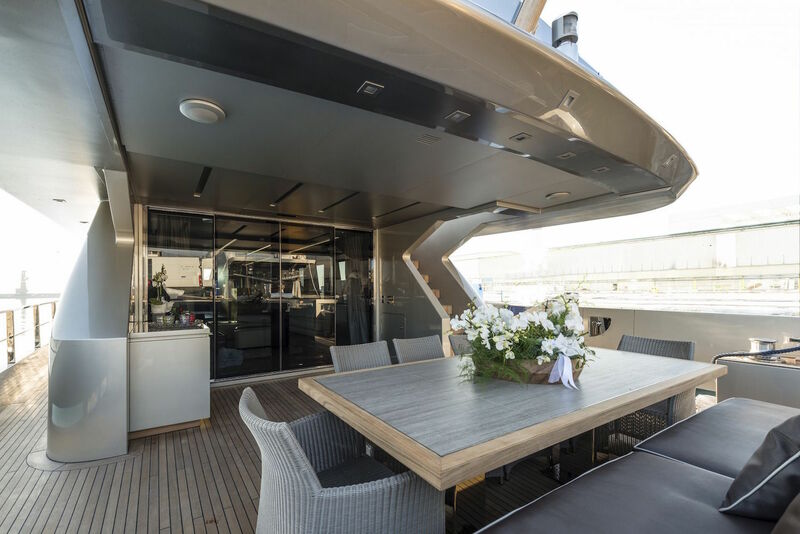 In 2013, the Italian shipyard Admiral Tecnomar unveiled their jewel with the name Tecnomar Nadara Zahraa. 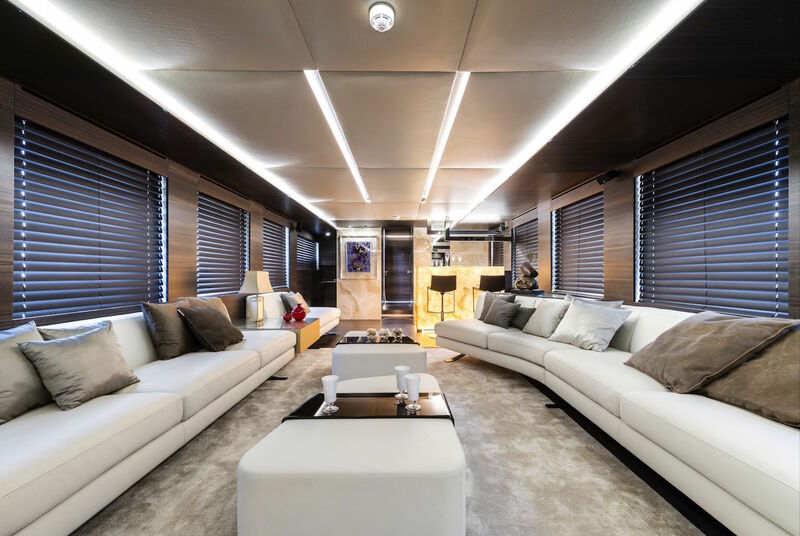 With 30 meters in length the challenging yacht belongs more to the smaller pieces of the manufactory. 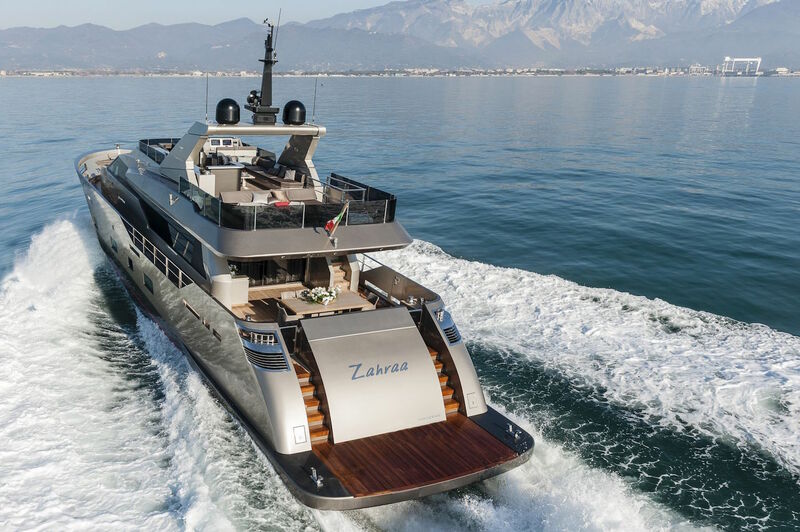 The Tecnomar Nadara Zahraa yacht can accommodate up to 8 people and has 4 stylish cabins to relax. 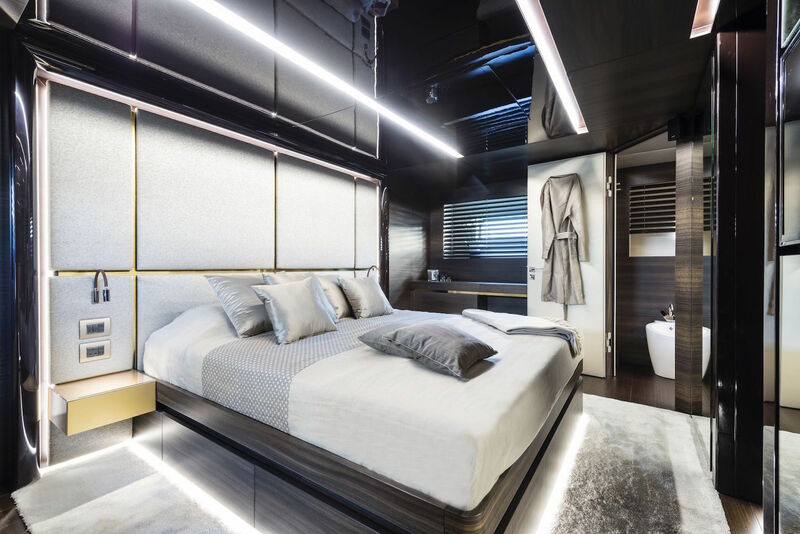 The master suite, VIP cabin and two twin cabins are all located on the lower deck. 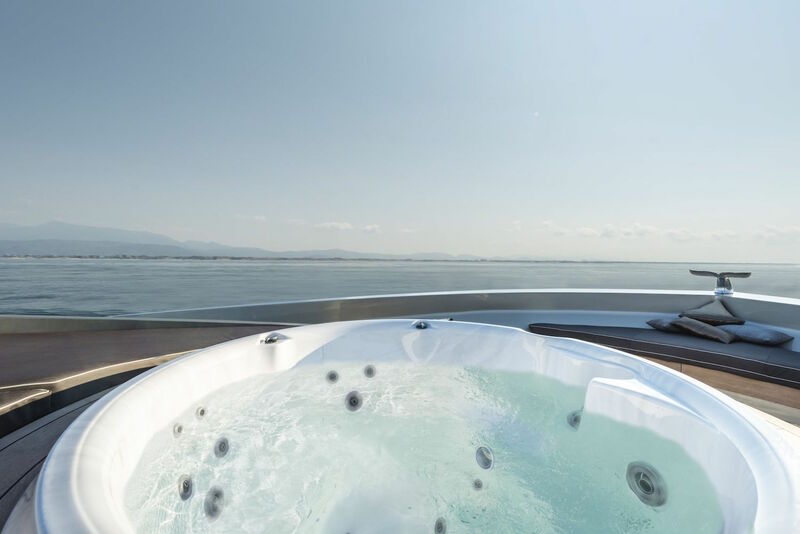 The main deck itself has a wonderful sun path, a jacuzzi on the front of the boat and a dining area for up to 10 people. The design and the details speak for themselves.